You will have a text file in the download that explain installation procedure. Am currently (3 Mar 2017) reworking bits of Tali's face to fix skin weight issues around her mouth (her lips and teeth move WAY too much during speech...most of the time you cannot see it but when you can, it is very very obvious). Thank you for your continued work on this mod! Hi, do You plan to do identical mod fo ME2? Wonderful job. 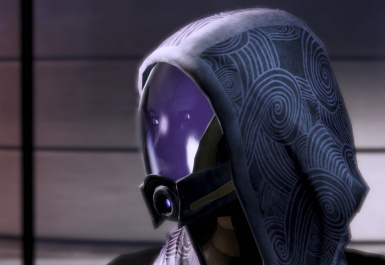 Tali was never my interest, but also it never made any sense not given a face and a proper personality. I guess you made many people very happy. Well done. Thank you. Mod looks beautiful, I was just wondering, there shouldn't be any issues with MEHEM, Extended Galaxy Mod, or Citadel Epilogue should there? 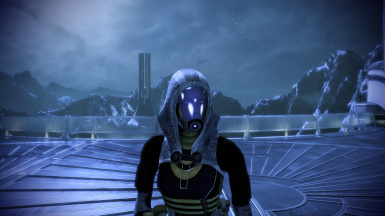 In theory it should work because those mods just reuse cut scenes, they should use this Tali model right? 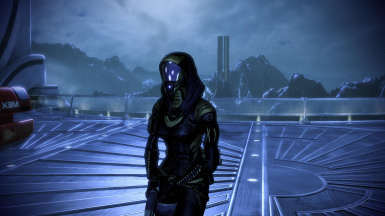 I am just cautious when it comes to Mass Effect mods because of how many hoops the devs make us go through to actually mod the game. I'm sure you have many people ask you questions but if you get to this one, thank you. I like the face though I'm not crazy about the slitted pupils. 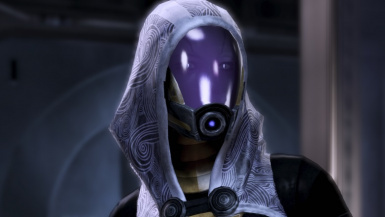 She seems to be the only quarian that has them. 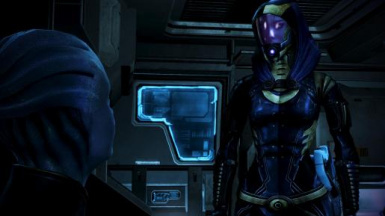 I am just guessing, so it seems more plausible to me is that Rannoch is a dimmer world and the reason for the opaque faceplates is to filter out a lot of the light so their eyes don't get adapted to too much light and since there would be less light entering the eyes of quarians with the faceplates, the pupils are dilated more and have a rounder appearance. As for their eyes being lit up I never could understand that, very reflective irises or bio-luminescence? Don't know if that was explained anywhere in the lore. 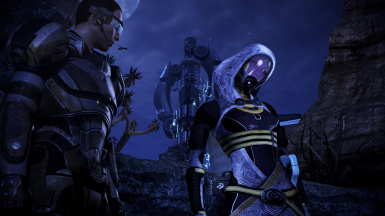 Is there such mod for Mass Effect 2? I'm told there may be a very localized bug in this mod. 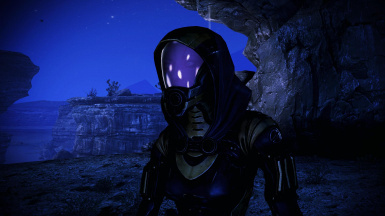 During a certain part of the Rannoch mission the game may crash. If this is so then you do not need to remove the DLC entirely - you could get around the bug temporarily by removing BioD_Gth002_210Tower.pcc from the DLC, run AutoTOC in ME3Explorer on the DLC to update its pcconsoletoc.bin file. The crashing will stop. This file was likely screwed up when meshplorer was inserting the new mesh because it is quite large and meshplorer sometimes borks on big files. Alternatively, for the Rannoch mission, as soon as you start getting a crash then remove the DLC from your game DLC folder temporarily, then after Rannoch, put it back in. I'll rebuild that file and get the DLC updated as soon as possible. If the bug is solved, you might want to check it as Solved in the Bugs section.